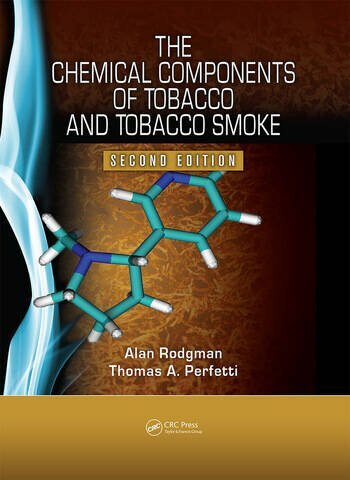 Authored by two longtime researchers in tobacco science, The Chemical Components of Tobacco and Tobacco Smoke, Second Edition chronicles the progress made from late 2008 through 2011 by scientists in the field of tobacco science. The book examines the isolation and characterization of each component. It explores developments in pertinent analytical technology and results of experimental studies on biological activity, toxicity, and tumorigenicity, including the inhibition of adverse biological activity of one specific tobacco smoke component by another tobacco smoke component. Adding to the progress reported in the First Edition, the comprehensive Second Edition provides nearly 7,000 references on almost 9,600 components. The authors discuss the controversies over the extrapolation of the biological effect of a specific component administered individually by one route versus its biological effect when the component is in a highly complex mixture and is administered by a different route. They also cite studies in which cigarette design technologies were developed to control the per-cigarette mainstream smoke yield of Federal Trade Commission–defined tar and one or more specific tobacco smoke components of concern. 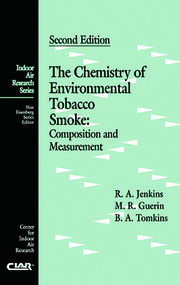 Authors Alan Rodgman and Thomas A. Perfetti were jointly awarded the 2010 CORESTA (Cooperative Centre for Scientific Research Relative to Tobacco) Prize for their extensive work on documenting the vast literature on the chemical composition of tobacco and tobacco smoke in their original edition. … the real value of the book will turn out in its daily use and it has all chances to become the standard reference book (perhaps 'The Bible') of all tobacco scientists. I highly recommend this book as an indispensable reference source for tobacco and smoke chemists as well as other scientists involved in the study of tobacco and its products. The compilation of proper chemical names, common names, Chemical Abstract Service numbers (CAS No. ), and structures alone are worth the purchase price. Many congratulations on this monumental piece of work. As a statistician I would like to forecast: There will not be any other comprehensive work in the next 30-50 years about this topic – Rodgman – Perfetti will be the definitive book. as a reference text on a laboratory shelf it will prove essential and take its place alongside the other CRC publications.